Trying to think of RPGs around that time... with 7 characters?!? Nope, coming up with a big fat zero I'm afraid. 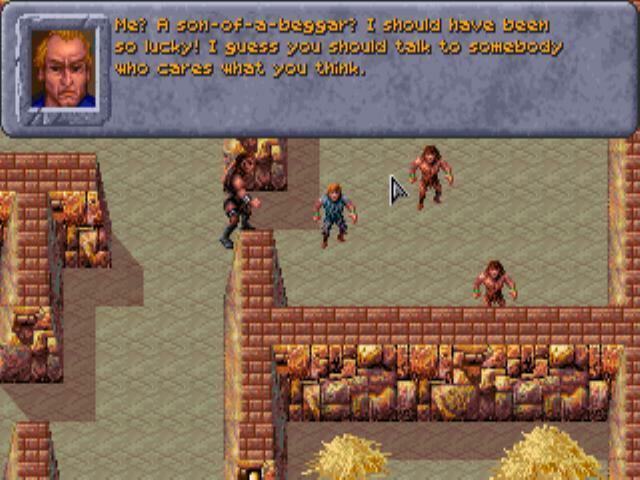 Hint: this game is a precursor to a well known RPG series that begins with an "I"
ISHAR 2 I think. I remember that compass. No no, this game was only a PRECURSOR to Ishar. I hope this wasn't already covered. 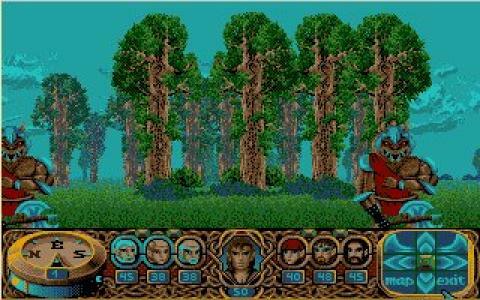 Was it Astauber's First Big RPG Adventure? hehe - in front of the screen, possibly yes. 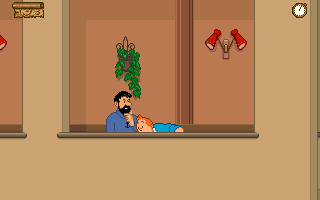 What's TinTin doing to Captain Haddock? ?